The significant increase in green diamond prices in the last few years alone is a strong indication that this color is slowly becoming a serious demand. The Aurora Green is the most expensive green diamond to date, yielding $3.3 million per carat. 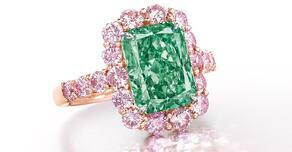 Green diamonds have started turning heads as rare, important and desirable colored stones. As knowledge about these stones continues to proliferate, so will investor desire to invest in them. 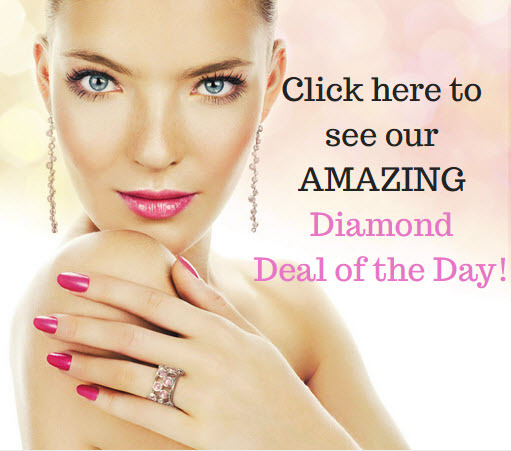 While similar in appearance, naturally and artificially colored green diamonds have immense market value differences. As we said in multiple of our investment articles, usually a 10 year period is the bare minimum to see how a diamond is gaining value. Therefore, let’s take a brief look at the top selling green diamonds at auction during the past decade. 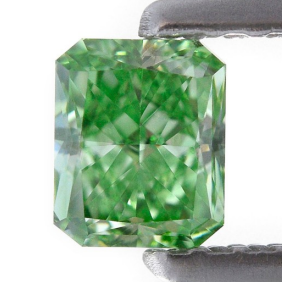 The first item on our list is a 2.52 carat Fancy Vivid Green that had broken the record for green diamonds back in 2009. The stone managed to achieve a respectable $3.08 million, yielding $1.22 million per carat. Fast forward 5 years, a truly breathtaking diamond rose to take the throne. The stone in question was the Ocean Dream, a beautiful deep blue-green gem weighing in at 5.51 carats. 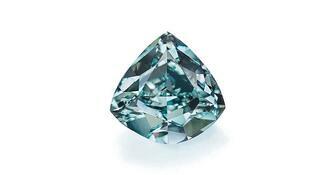 This made it the largest blue-green stone in the world, and the new record holder for green diamonds. The Ocean Dream realized a final selling price of $8.63 million (yielding $1.56 million per carat), during Christie's Magnificent Jewels sale in 2014. The reign of the Ocean Dream was short lived however, as the record for most expensive green diamond (and per carat price paid for a green stone), was broken by the Aurora Green, in 2016. This 5.03 carat Fancy Vivid Green masterpiece yielded a staggering $16.8 million, reaching a little over $3.3 million per carat at the at Christie’s Hong Kong Magnificent Jewels sale. 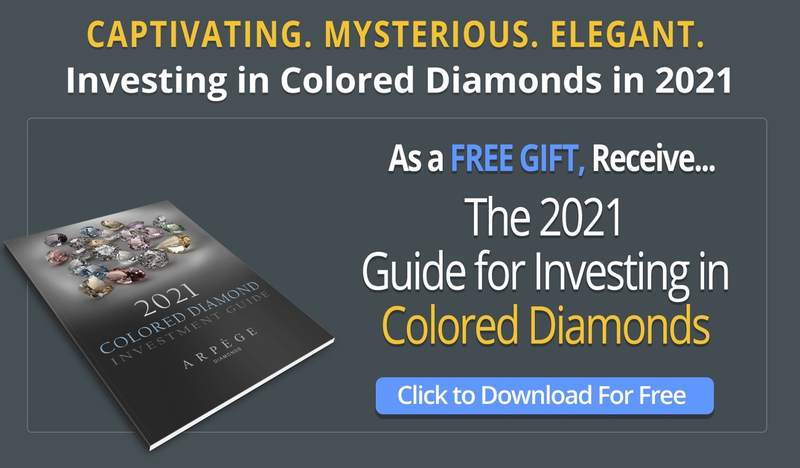 It has only been during the past few decades that investors have truly begun understanding the true potential of fancy colored diamonds as alternative assets. Just as their other colored counterparts, green diamonds have started turning heads as rare, important and desirable colored stones. Until recently, diamond dealers would argue that fancy green diamonds are suited more for collectors rather than investors. However, the increase in awareness and value potential of these magnificent stones, demand (and therefore price) will potentially continue to see a rise. The significant increase in natural green diamond prices in the last few years alone is already a strong indication that this color, which was once not relegated to the investment realm, is slowly becoming a serious demand. Naturally, as knowledge about these stones continues to proliferate, so will investor desire to invest in them. This in turn could not only increase their valuation but also their liquidity. Of course, having said that, it is important to remember that as with all diamond color categories, there will be investment grade gems and others not worthy of the title. So be sure to always pay close attention to certifications, be well educated on the category of stone you wish to invest in, and always consult an expert before making a purchase. What You Should Know About Green Diamonds As An Investor? As you might remember from our tribute to green diamonds post, these stones get their color from exposure to radiation, so even with today’s advanced technology, gemologists are still finding the differentiation between treated and naturally green diamonds a bit challenging. The irradiation process that takes part in nature can be almost perfectly emulated in a laboratory, ultimately creating artificially green diamonds that are almost indistinguishable from their natural counterparts. It goes without saying however that despite their similarities, naturally and artificially colored green diamonds have immense market value differences. This is primarily due to the extreme rarity of these stones, especially for those that have been exposed to larger levels of radiation such as Beta and Gamma. What is your take on this? Do you consider green diamonds as worthwhile investments or are they just another gem for collectors? Let us know, and as always feel free to follow us on Twitter and LinkedIn.